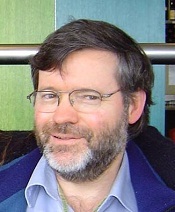 Mathew John Ballard was born 6th September 1957 in Sydney. His secondary school education was at Drummoyne Boys High School from 1970 to 1975. He obtained his BSc (Hons) in Physical Chemistry at Sydney University in 1979 winning the University Medal. Other prizes won included the Walter Burfitt Scholarship No. 1; the John Coutts Scholarship and the C.S.R. Chemicals Prize. During the summer vacations he worked: at Laporte Australia (December 1977 ‘ February 1978) with Mr Mike Yamine measuring the levels of phenols in waste water and then developing a treatment using hydrogen peroxide to eliminate the phenols; and as a vacation scholar at the Australian National University (December 1978 ‘ February 1979). There his supervisor was Dr Leo Radom and the work involved running quantum chemistry programs on the university computer to study hypothetical chemicals and structures. The work for my thesis consisted both of laboratory and theoretical work. This provided me with experience in the detailed design and execution of novel types of experiments (the ESR work of my publications), and in the modelling of these experiments using both mathematical and computational techniques. This resulted in new insights into the mechanisms of the polymerisation, and the elucidation of the values for the fundamental rate coefficients. Papers from this work are still being cited today, and researchers at Rohm and Haas published several papers that extended the ESR work into different systems. He had originally been recruited directly to the UK, but problems with work permits delayed his departure for some time. In the interim (January-May 1984), he worked at Ascot Vale with Dr Lichti on electrolysis cells, on pollution control for PMA Laverton, and on novel magnetic ion exchange resins. My job was to find out exactly what the additive was, and how it worked. This involved determining the precise chemical nature of the polymer, and then predicting the rheological behaviour of its solutions based on that understanding of the polymer. I succeeded in doing this, but unfortunately the project failed for other reasons. In February 1986 he returned from England to the ICI Research Group where he worked for three sections at once: Specialty Chemicals, Biologicals and Explosives. After a few months, the funding for the first two ran out, and he concentrated on Explosives where he developed some novel additives for modifying the rheology of emulsion explosives that resulted in two patents. From February 1987 till September 1990 he continued to work for the Explosives section, with increased responsibilities working directly with colleagues at Deer Park (for large-scale testing and pilot manufacture) and at the Hunter Valley (for field trials). However, after two years with Explosives it became obvious that all technical work was either going overseas, or being slowly transferred to the Hunter Valley. As a result he moved to the Specialty Chemicals section working mostly for the ICI Kemrez business group. His specific responsibilities included aiding in the transfer of acrylic and urethane dispersion technology from Holland, helping to solve specific production problems with various latices, and analysing competitor’s products. In addition, after consultation with several commercial colleagues, he began work on specific new products. From October 1990 till December 1991 he was a Senior Research Scientist at the ICI Research Group working closely alongside colleagues in the ICI Kemrez and ICI Valchem business groups. His specific responsibilities included continuing to aid in the transfer of water-based technology from Holland, developing new paint and adhesive products to suit specific market needs, facilitating the transfer of those products to the plant, and fielding some technical service problems. Other roles were more corporate in nature including consultant to other business groups within ICI, in particular to the Specialty Chemicals and Industrial Chemicals businesses and the generation of proposals for new products or processes in the ‘Exploratory’ area. He was recruited as a Senior research Scientist to the CSIRO Division of Chemicals and Polymers in January 1992 where for the next two and a half years he worked in the ‘Water Group’, and initiated and managed two major projects. The first was the MIEX (magnetic ion exchange) water treatment project with ICI Australia (later Orica). This was essentially the tail-end of a 30-year collaboration, with much ‘history’, and was not expected to succeed. The goal was to develop a magnetic ion exchange resin that would remove dissolved natural organics from potable water, so as to improve the subsequent flocculation and chlorination processes in conventional water treatment. To this end he invented and patented a resin that had the requisite properties, and that could be manufactured at reasonable cost. The second was a joint project on novel flocculants with DuPont and Sydney University, funded by a government GIRD grant. The goal was to make enhanced flocculants that were more effective against certain types of colloids by grafting on suitable side chains. The project was only partially successful ‘ while they could graft on the side chains, it was at the expense of molecular weight, and hence flocculating ability. Despite the technical and commercial success of the MIEX® project, the entire ‘Water Group’ was made redundant in 2003. While most lost their jobs, Mat was transferred to the Engineered Resins project with DuPont US, and worked on emulsion and mini-emulsion polymerisations. While in principal this was a commercial project, in practice it was completely academic. His work in this area was highly theoretical: developing and predicting the thermal and mechanical properties of composites from a small number of experiments coupled with advanced computer modeling. This work was successful, but Boeing lost interest in all but the most immediate techno-commercial problems due to the financial pressures of bringing a new generation of airliners to the market. Two other senior staff then left, and the project was terminated in 2006. This work involved manipulating images in very complex ways using software such as ‘Photoshop’. The problem was that doing a single image took a week or more of time, and only one person, the inventor, knew how to do it. Mat’s solution to this was to work closely with the inventor to write a software program that took the input images, and then performed the same manipulations automatically. During the course of this he had a very productive partnership that resulted in a number of additional novel capabilities and hence patents. While this project had some commercial success, it was deemed insufficient to justify further work and the project was scheduled for termination in December 2008. However, Mat observed a novel optical effect, which CSIRO has patented, and this attracted the interest of industry, which funded additional work, mostly by his colleague Lawry McCarthy. The kinetics and mechanism of absorption of CO2 by amines ‘ for use in Post-Combustion Capture (PCC) of power plant emissions where the goal was to better understand how existing amines performed, and so lead to the synthesis of new amines with better performance. He is an author/co-author of 21 papers, six category ‘C’ reports within ICI ‘ these are the highest level of confidentiality ‘ and 52 CSIRO reports.